Brylee went home with Granny and Pap Pap to the lake for a few days so that gave me some time to work in my room! 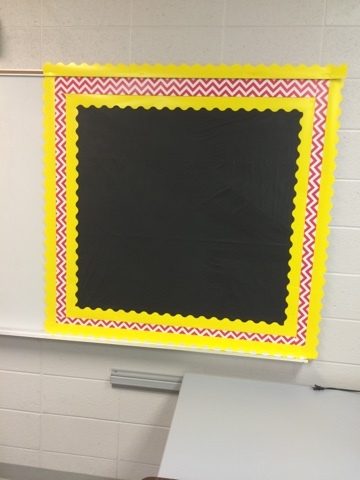 I did lots of cleaning in the room and cleaning out and I just had to get one bulletin board up so I could at least feel like I was accomplishing something! 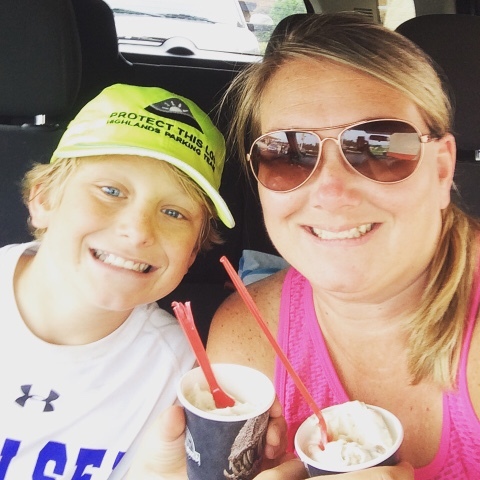 Wednesday, July 1st: My Ice Cream Date: Jackson was a trooper and ran some errands with me so I treated him to a blizzard! 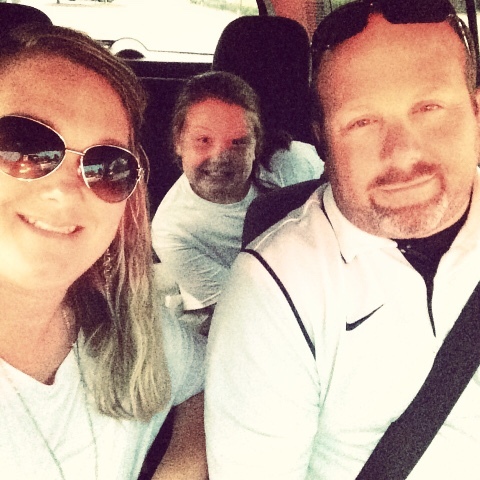 Thursday, July 2nd: Headed to the Lake!! We headed to the lake today to beat the "holiday rush" and get the boat and enjoy some time on the lake before all the crazies got out on the water. We were also missing our Sissy Girl who had been at the lake since Monday! Today we went and met our friends The Franklins out on the lake. Jackson, Anthony and Cole enjoyed tubbing and Ray found them a rope swing to go off of a few times too! 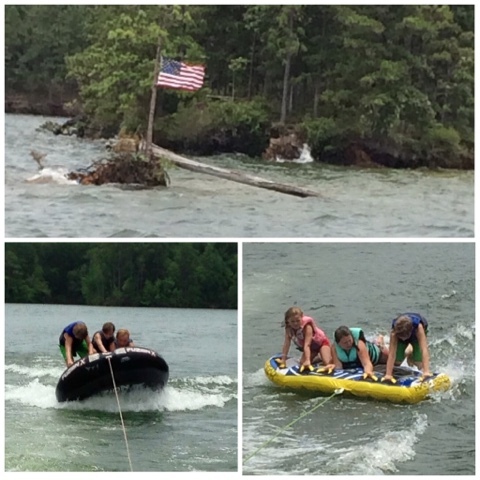 The cousins all enjoyed tubing as well! We took our traditional boat picture in our patriotic bathing suits!!! We have been doing these pictures for about 10 years!!! 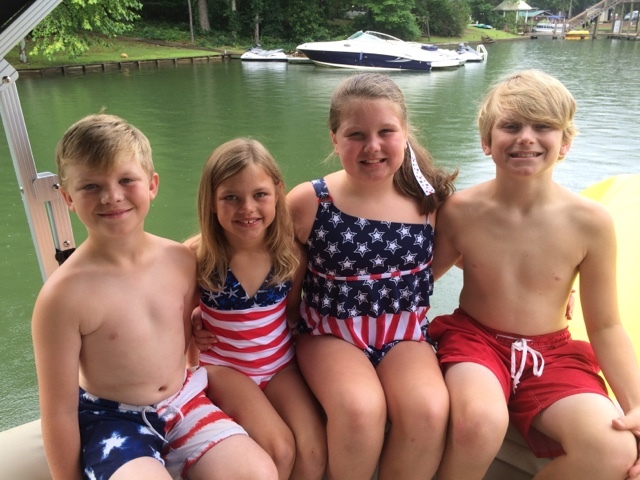 The whole gang ready to celebrate the 4th! 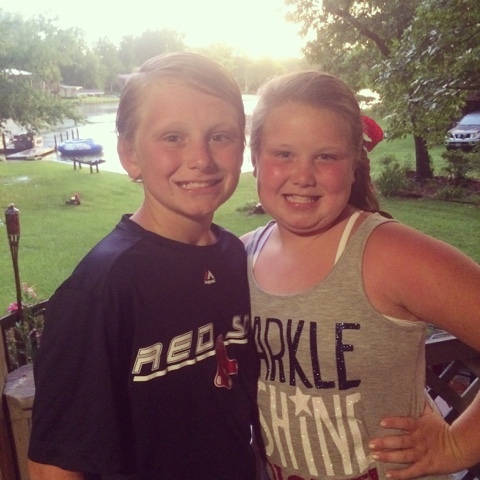 After a day out on the lake we got dressed to go watch the fireworks! 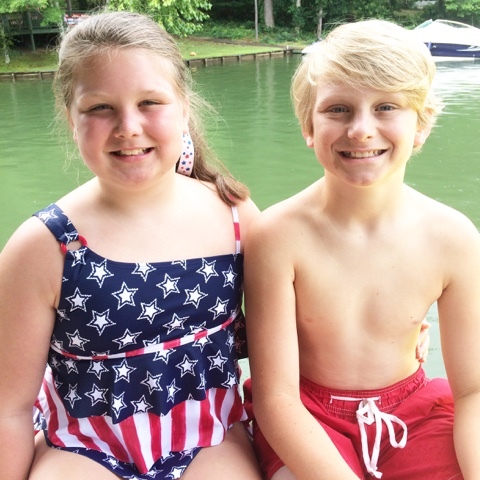 Happy 4th of July from these two cuties! 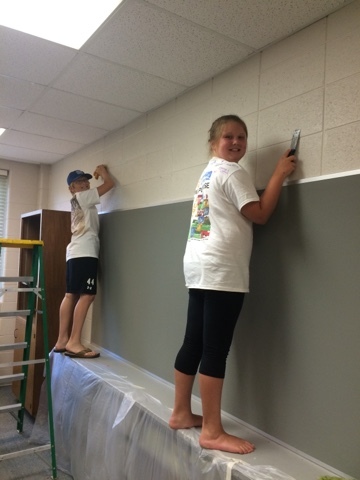 Sunday, July 5th: Gearing up for Camp! 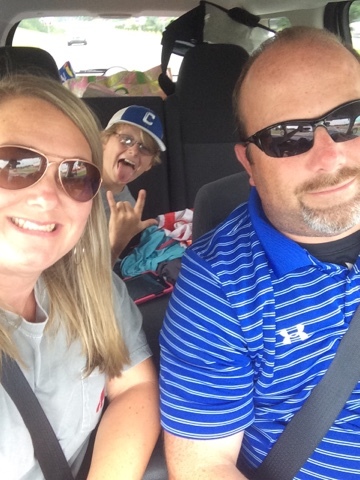 Richard, Brylee & I left the lake shortly after lunch to head home to get sister ready for camp! Jackson stayed at the lake for Camp Granny-PapPap!!! We had to pick up a few last minutes things and get her all packed for camp! We also let her pick where she wanted to go eat. She had to get her GoGo and G-Daddy fix as well so we all went to dinner at Olive Garden! Spoiling Sissy before she leaves us for a week!! !